Swept up in the resolution-making, nostalgic last moments of 2014, I'm continuing my reflection on the year that was through my year-end wrap up of the best of my blog. 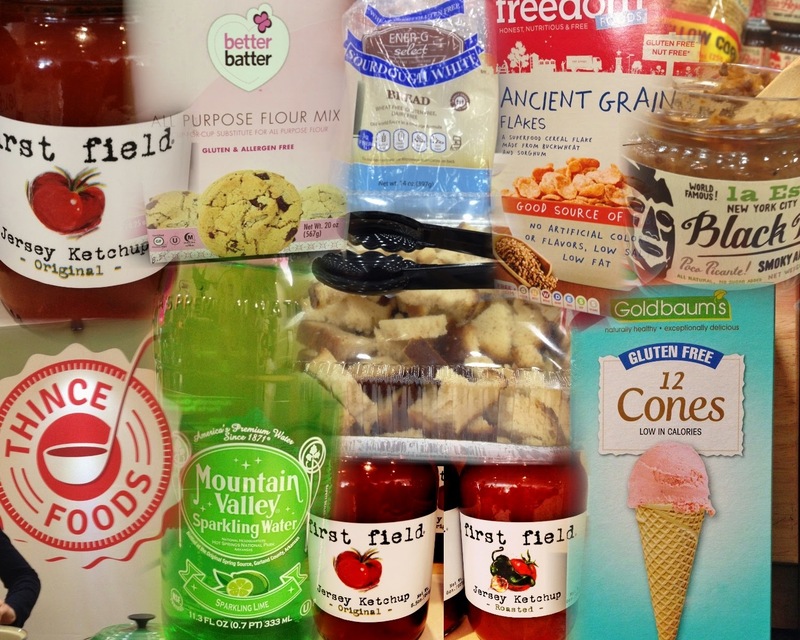 This year, more than ever before, my gluten-free, dairy-free horizons expanded dramatically thanks to the many new products I discovered at gluten-free expos and events as well as on store shelves. It's amazing to see the incredible innovation and ever-increasing growth of the gluten-free industry; I cannot wait to discover what new tastes I'll discover in 2015! As much as I love reviewing and eating gluten-free baked goods, I have a new year's confession to make: I am a unenthusiastic baker. Limited to waffles, pizza crusts (pre-made mixes) and the occasional batch of banana breakfast cookies, my baking expertise is minimal at best. Combined with my sky high expectations and limited patience, baking is an art I feel is best left to my favorite bakeries. Despite this, I'm not against baking altogether, especially when it is simplified to a process even I could not mess up. As if answering my culinary prayers, Eat Pastry's gluten-free, vegan cookie dough caught my eye due to the promise of a quick and easy baking process that renders chewy chocolate chip cookies fresh from the oven. Upon closer examination, I fell even more in love with the product before actually sampling it after realizing that this dough's vegan status. With no eggs or other animal by-products Eat Pastry is safe to eat before baking. That's right: It's safe, edible, and gluten-free raw cookie dough. What could be better? Although Christmas is now behind us, there's no denying the fact that this time of year is marked by the proliferation of cookies of all shapes and sizes. Normally one who does not seek out sweets, I have indulged myself over the past few weeks in Christmas cookies as a stress reliever for finals week and celebration that I made it through my first semester in college no worse for the wear. On my first weekend back home in Orlando, my mom and I hit the Maitland Farmers' market at the beautiful Lake Lilly Park on the hunt for fresh veggies and one of my favorite local treats- Heartsong Cookies (see my original review here). However, Heartsong was not the only gluten-free cookie purveyor I discovered on that bright and beautiful Sunday; Jacqueline's Cookies, run by a local baker with ambition to grow her cookie business also caught my eye. Though I have sampled bakeries here there and everywhere I go, I have a soft spot in heart for Raphsodic Bakery as my go-to Central Florida bakery. Specializing in vegan and gluten-free fare, visiting the bakery is one of the first things I do when I return back to Florida and has introduced me to baked goods I'd never thought I'd taste, much less enjoy, again. I posted about Raphsodic once before, but in recent visits, I have been able to sample a greater variety of their offerings including some special-order seasonal items for the holidays. Located in the fun and funky Mills 50 District, Raphsodic is minutes away from downtown Orlando and completely worth the drive from anywhere in Central Florida. The ladies behind the bakery are dedicated to their craft and prepare a dizzying array of sweets, treats, and savory items as well as offering fresh canned preserves, make-it-yourself gluten-free, vegan mixes (pizza crusts, scones, etc. ), and other items from local artists and purveyors. Coming off of a finals week buoyed by Thai food and pho, my taste for Asian cuisine was not extinguished upon returning home. After the wave of energy and emotion that is Christmas crashed after a whirlwind day, my mom and wanted to get out of the house on Boxing Day but were not ready to battle the madness of big shopping centers or the more tourist-y areas of town. After some sleuthing online for a restaurant that was not too far away from home, was not too expensive, and was something we both could agree on rendered an obvious "Goldilocks" in Phat Thai Cafe which met each of our criteria. Phat Thai is not a new name for me as their former Altamonte Springs location was a familiar sight a couple years ago. Even before dietary restrictions entered my vocabulary, my mom raved about their spicy and delicious dishes but I was always hesitant trying the unfamiliar cuisine as my pre-teen taste boundaries were a bit more restricted as they are now. Relocated to Apopka, North of Orlando, I was looking forward to making my long delayed acquaintance with this little cafe. Braving snow in the city. 'Tis the season for cumulative lists of the "year's best" restaurants, events, people, and more. Wanting to get in this year-end nostalgia, I'm reflecting on the year that was for my blog and reporting on the top 10 restaurants/cafes/bakeries I've discovered and re-discovered. Since I split my time between Central Florida and Maryland, I couldn't pare down my selections for one list and compromised by dedicating two lists- one for each state. This list is dedicated to my adopted home of Maryland. I have easily and quickly fallen in love with this quirky state that has introduced me to a whole new world of restaurants and cuisines. I have loved the opportunity to get out and explore Baltimore and the surrounding Baltimore County while also getting used to the beauty and burdon of seasonal temperatures (yes, it does get cold there). It's been the biggest adventure of my life so far, and cannot wait to jump back right into the fray next year. Until then, here's my list of Baltimore's best offerings in and around the city. Though various posts on this blog, I have well established my love for Sweet Note Bakery's authentic NYC-style bagels. Hailing from Pennsylvania, I found them first at the Schmear It food truck while exploring Philly this spring and hunted them out again here in Maryland at Towson Hot Bagels and On the Hill Cafe. Though I am a fan of their plain and everything varieties, I knew I'd have to break down and order a box of their seasonal flavors directly to my dorm as the winter weather and elevated course load limited my ability to get off campus. Once the magical box of bagels arrived, I immediately opened it, only to be confused by an ingredients list that failed to list pumpkin. As it turned out, my pumpkin spice bagels were switched with their new winter seasonal flavor: snickerdoodle. While I was bummed to wait a little while more to finally sample the ever elusive pumpkin spice bagel, my disappointment turned to excitement knowing that I'd be one of the first people to sample Sweet Note's newest arrival! If you look closely- you'll see snow flurries! 5/17/17: As of late April, Two Boots Baltimore has closed. As it it is my final week in Baltimore for this semester, I've been brushing up on my course material for final exams and sneaking off campus to take the opportunity to visit restaurants that have been on my to-do list. Two Boots Pizza, located in Midtown Belvedere and nestled between the University of Baltimore and the Maryland Institute College of Art (MICA), caught my eye after discovering that they happen to be very gluten-free, dairy-free, and vegan friendly. Founded in 1987 in New York City, Two Boots' celebrates the unique cultural and culinary intersection of Louisiana and Italy (the two "boots") while featuring funky decor and a commitment to local communities. After my pizza disappointment earlier this week at Seasons, I went to Two Boots with the highest of hopes. As I soon found out, Two Boots knocked my boots off with their level of allergen awareness! With multiple locations in and around the Baltimore area, Seasons Pizza is a regional chain that has made an effort to welcome gluten-free customers back to the table to enjoy pizza once again. Wanting to make the most of my final week in Maryland, I decided to trek over to Seasons Pizza in Towson to check it out before heading home. While normally I would have stayed in my dorm and taken advantage of their delivery service, I wanted to do an in-person visit to take advantage of the non-rainy day and ask questions about what preparation protocols they have in place. Whether its the cold weather, holiday spirit, or single digit day countdown to winter break, it's getting downright difficult to face the monotony of the dining hall. Don't get me wrong- my college has been pretty accommodating, but after my Thanksgiving break allowed me to rediscover the deliciousness of home cooking, it's hard to face the less-than-homemade quality of buffet lines. Taking advantage of a lighter day due to a cancelled class, I ventured into downtown Towson with my sight set on Pho Dat Thanh. Although Orlando has a renowned little Vietnam district, I must admit that in my nine years of residency there that I never got a taste of the authentic Vietnamese cuisine served up by mom and pop shops. Hundreds of miles away from home, my visit to Pho Dat Thanh would serve as my formal introduction to the cuisine and magic of big bowl of pho. In my final two weeks of classes and finals, I didn't really have the time or heart to make a grocery store run. After all, I'll have to clear out my refrigerator and freezer before I go. Not one to go without a supply of bread however, I decided to treat myself to an early Christmas present and order from a gluten-free bakery I've had my eyes on for awhile. Mariposa Bakery is a California-based, dedicated gluten-free bakery that serves up artisan-crafted baked goods. Offering products not usually found with the gluten-free label such as croissants, focaccia, tea cookies, and more, it's downright dangerous to browse through their assortment of mail delivery products as I found myself wanting one of everything. Realizing that my wallet and limited time frame restricted me from ordering one of everything, I decided to pick and choose three items I most wanted to try: iced gingerbread men, rosemary rolls, and challah. While the weather outside may not be that frightful, it certainly proving to be a big change for this born and bred Floridian. Surprisingly, I'm finding that I quite enjoy the colder temperatures because they really add an intangible element to the holiday season that makes it all the more magical. Locke too is enjoying himself and we are both looking forward to our first snow-on-the-ground snowfall. November made for a delicious month for me as the Thanksgiving holiday brought me temporarily back to the sunshine state for a delicious Thanksgiving feast and chance to get out and explore some new restaurants and bakeries in Orlando and Jacksonville. This post is a round-up of my November mentionables, as part of a series I started last month, and showcases some gluten and dairy free products that caught my eye but did not make it into a full post. To see my follow-up review of Sweet Theory Baking Company, click here. Whenever I travel anywhere, I always look out for dedicated gluten-free restaurants, cafes, and/or bakeries to check out. My recent trip through Jacksonville was no exception and my research quickly put me on the trail of Sweet Theory Baking Co. in the hipster-friendly 5 points district north of town which is home to theaters, shops, and eateries (including Orlando's own Hawkers!). Eager to check out the bakery, a traffic delay threatened my holiday mood, but upon arriving, Sweet Theory quickly brought the cheer back as they offered a dizzying array of sweet treats. In my nine short months as a gluten/dairy free blogger, I have enjoyed the adventure of showcasing my favorite restaurants and discovering new ones in my own backyard in both Maryland and Florida. Tommy's Brick Oven Pizza in Jacksonville is one such restaurant I have been wanting to showcase for awhile now. I came across this unsuspecting gem of a restaurant while in the Jacksonville area for medical treatment this past January. Before checking in as an inpatient to a local hospital, I wanted one last taste of non-institutionalized food and quickly sought out a pizza place to try. I knew I had found a good place to try in Tommy's when I discovered that they have a dairy-less pizza on their regular pizza! I was sold after my first bite and have been wanting to go back ever since. Upon discovering that most of the flights back to Maryland from Orlando's airport were either priced at a premium or sold out altogether, I hatched a plan to fly back from Jacksonville's airport- naturally providing an opportunity to pay Tommy's a second visit. After three months away from the sunshine state, I have long awaited my Thanksgiving return for a chance to enjoy home cooked meals and taste a new restaurant or two. It's amazing how refreshing a break from dining hall fare can be for this foodie freshman. Although I've been able to sneak of campus here and there, a recent string of papers, essays, and exams- in addition to cold weather- have limited my ability to get out and find gluten-free friendly restaurants in Baltimore. Taking advantage of a cross town trip to visit friends and run some errands with my mom while back in Orlando, I requested a stop at Sea Thai Restaurant, which has been on my "to-do" list for a while. Sea Thai annually earns top marks from area newspapers and magazines as one of the city's top Thai restaurants. I could not wait to see if their fare held up to the hype. Although I am gluten-free and cannot eat the majority of breads out there, people would be shocked to see that bread remains a staple of my diet. Ever on the search for breads beyond the simple sandwich variety seen so often on store shelves, I couldn't wait to try MyBread, a gluten-free flatbread pita, when I spotted it on a recent Whole Foods run. Made by a 100% dedicated gluten-free bakery in Chicago, IL, I had the highest of hopes that the pita would be able to fill a much needed vacancy in my gluten-free repertoire. After all, gluten-free and pita rarely appear on the same package. From the moment I spotted MyBread, my mind raced with all the possibilities of this simple bread. As a pocket-less pita, it could easily become a pizza crust, gyro wrap, hummus holder, or sandwich flat. Since one pack of pita contains six flatbreads, I couldn't wait to let my culinary imagination run wild. When it comes to collegiate dining, the name of the game is quick and easy eats. One only has to look at my main dining hall to see that one of the most popular stations are the ones with comforting classics such as pizza, grilled cheese, chicken tenders, hamburgers and hot dogs. Not normally a fan of these greasy, gluten-laden offerings, there are some days when I wish I could eat these "normal" college foods alongside my peers. That's why when offered the chance to review Foster Farm's newest gluten-free offering- corn dogs- I jumped at the chance to get to reunite with the long-lost taste from my childhood. These cornbread-covered franks immediately appealed to me because the franks inside are not red meat based but instead are made with 100% chicken. Also catching my eye was that fact that these gluten-free snacks on a stick are certified gluten-free by the Gluten Intolerance Group. From the moment I agreed to sample them, I eagerly watched my email inbox for the magical notification that my corn dogs had arrived. Having gone many months since my last encounter with Thai cuisine, I made a goal of seeking out my favorite dialect of Asian food this weekend as cooler temperatures called for comfort food. After considering the many Thai restaurants in and around the Baltimore area, I selected Noodle Charm as my intended destination as it is a sister restaurant to one I've already visited (Spice and Dice Thai) and nearby a bustling shopping center with a few stores I wanted to check out. Like it's sister restaurant, which is located literally next door, Noodle Charm's menu is centered around authentic dishes crafted with care. As I soon found out, their name is pretty fitting as I found both noodles and charm in this cute little restaurant. When I made the decision to be a reverse snowbird of sorts- going north for the winter- I was warned by my fellow Floridians of the evils of snow and cold temperatures. Though I may be a Florida girl at heart, I'm no means a stranger to hard, cold winter as I spend four precious years of my childhood in the Buckeye state. The cold temperatures I was warned about are starting to creep into the picture as fall foliage is starting to dim and a chill is creeping into the air. On a particularly blustery day today with high of 52 degrees, the combination inspired me to venture up to Towson to a cafe that has been patiently waiting on my to-do list: Zia's Cafe and Juice Bar. Located in the heart of the bustling city center and steps away from Towson Hot Bagels (as reviewed earlier), Zia's strives to serve everyone a healthy, hearty meal whether they are meat-lovers or vegans. Specializing in raw, gluten-free, and sustainable foods, I couldn't wait to taste and see what Zia's was all about. Happy Belated Halloween! Fall is in its full glory, and Maryland does it in a spectacular way. With the chill in the air and the dizzying array of colors on the last leaves on the trees, I have fallen head over heels for a season we don't get in the Sunshine State. So far, college life is everything I had hoped it would be and more. I am loving the freedom of being entirely independent and the exciting feeling of discovery that comes with exploring a whole new culinary landscape of grocery stores, restaurants, and gluten-free expos and events. My college's dining services keep me well fed and happy with an array of gluten-free offerings including omelets, asian stir-fried noodles, imitation burrito bowls, and weekly specials such as Indian and green smoothies. As I have adjusted to life as a college student, I find that I often have far fewer hours in a day than I have things to complete on my to-do list. Naturally, my academic work comes first, then my extracurriculars such as clubs, cleaning, errands, and blogging. Given my jam-packed weeks, I have not been able to write as much as I would like, but have been discovering new products I want to share but for lack of time, I cannot devote an entire post to. In an effort to share the spotlight and recognize what I'm loving every month, I've decided to start a monthly round-up of new products called my "Monthly Mentionables" that will be posted on the last day of the month. Although it's a day later than I had hoped to post this, I'm starting strong with a review of October's finds. After a super busy Natural Products Expo East a month ago, I have slowly but surely been working my way through the many samples I was generously provided. Of the more unique samples I've tried so far are organic marinara sauces courtesy of Uncle Steve's Italian Specialties. The Steve of Uncle Steve's is Steve Schirripa, known for playing Bobby Baccalieri on The Sopranos. According to Uncle Steve himself, the sauces were inspired by his Brooklyn upbringing and Italian heritage. Surrounded by the aromas and tastes of authentic recipes, he learned to appreciate quality Italian cooking which ultimately led him to start Uncle Steve's to bring the comforting taste of home-style marinara to the masses. Currently offering three varieties (marinara, tomato basil, and arrabiata), each is USDA certified organic, kosher, non GMO, gluten-free, and contain no added sugars. Given the scary ingredients in conventional jarred pasta sauces lining grocery stores, Uncle Steve's really impressed me with their attention to top quality ingredients. For this review, I selected the tomato basil and arriabata sauces to contrast a more traditional flavor with one that had a little more spice. Even as I made my first visit to One Dish Cuisine in Ellicot City last month with my mom, I knew I'd be back sooner rather than later to sample their non-baked good offerings. As public transportation is a bit difficult to get from where I am to where they are, I had to wait until I had reliable transportation to make the trek to Ellicott City (aka, a visit from family or friends). Luckily, my aunt made the trek up to visit me earlier this month which provided the perfect excuse/opportunity to make a return trip to One Dish Cuisine. Since this review comes so close on the heels of my first one, I'll direct you to that post (at this link) for the scoop on the restaurant's intuitive take on allergen free dining. I'll go ahead and reiterate that this bakery, cafe, and deli is a 100% dedicated gluten-free establishment. This Friday is a big holiday for kids young and old: Halloween! While there are many ways to join in on the fun from costume contests to candy galore, there are nasty tricks to many treats that could ruin all the fun for kids with food allergies, sensitivities, intolerances, and other dietary restrictions. This year, advocates, parents, and communities alike are banding together and giving Halloween a teal-tinged makeover to raise awareness of these very dietary challenges and promote an inclusive atmosphere so that everyone can join in on the fun. 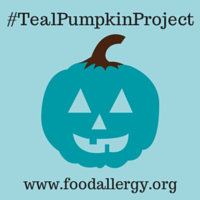 FARE (Food Allergy Research and Education), a leading food allergy advocacy group spearheaded the Teal Pumpkin Project campaign this year to bring allergen awareness from coast to coast. When it comes to allergen friendly grocery items, I trust well-known allergen friendly companies such as Enjoy Life Foods. Already a huge fan of their boom choco boom dark chocolate bars and dark chocolate baking morsels, I love that all of their products are free from the top eight allergens: wheat, dairy, peanuts, tree nuts, egg, soy, fish, and shellfish. As a college student constantly on the go, I'm a big fan of portable snacks that are quick and easy to transport but are filling and made with quality ingredients. When invited to sample Enjoy Life's not nuts! seed and fruit mix, I was intrigued to see what they were all about. True to their name and containing no nuts, these snack mixes are great for sharing with friends with multiple allergies and intolerances and are actually good for you because because they feature healthy fats, lower sodium, and other benefits from the real fruits and seeds that lend their name to the package. Even though a month has passed since I attended the Natural Products Expo, the expo effect has continued as I have slowly worked my way through the many samples I picked up on the show. After tasting and placing ginnybakes on my list of top sweets I spotted on the show floor (see that post here), I was contacted to see if I would be interested in giving their dreamy vegan delight cookies a full review. Eager to give them a second look- and taste- I agreed. What I love about ginnybakes is that their cookies are made in a dedicated gluten-free facility with care and awareness of the integrity of each little ingredient. Each cookie they produce is organic, non-GMO, kosher, and certified gluten-free so cookie lovers of all tastes and preferences can find something to love. It should be noted that among all of the cookies they make, the dreamy vegan delight cookies are the only ones that are vegan and dairy-free. After a whirlwind weekend of errands, chores, and catching up, my aunt and I exhausted ourselves over the course of her weekend visit. Waking up tired and chilled by a cold front that dipped temperatures into the mid 50s, breakfast was the first and only order of business for the morning. Though I've had some good breakfasts around town, I seized the opportunity for one more excursion off campus and selected On the Hill Cafe, a restaurant that has been on my to-do list for awhile now. This cafe keeps it local with locally sourced items and efforts to minimize their environmental impact while maximizing their impact in their Bolton Hill neighborhood. Although I'm a pretty dedicated pizza lover, Joe Squared is rare exception from the rule for me because I went there with the intent of ordering something other than pizza. Never one to pass up an opportunity for a slice (or the whole pie) Joe Squared is a locally renowned pizza place that serves up a variety of gluten-free and vegan offerings, but has no pizza option for those of us who don't do wheat. Nevertheless, I decided to give Joe Squared a visit after reading through what menu options were available to me as a gluten and dairy free diner. Soups, wings, salads, and risottos were all available to me and I had a hard time narrowing down exactly what I wanted. After a busy day shopping, doing some chores around the dorm, and visiting a local dog park with Locke, my aunt and I arrived for dinner with our appetites peaked. Battling the whipping winds of an incoming cold front, we were craving true comfort food to warm us up as the setting sun was quickly dropping the temperatures lower and lower. When it comes to gluten and dairy free places to eat, Baltimore is proving to be a treasure trove of restaurants, cafes, and bakeries off all shapes and sizes. While Orlando still holds my heart as my hometown, I'm finding myself more at home each and every day in Charm City. In the rare mood for a milkshake this week, a quick Google search for a non-dairy milkshake turned me onto Lost City Diner in the Station North arts and entertainment district. Luckily, a visit from my aunt this weekend timed up perfectly with my desire to pay Lost City Diner a visit so we set off milkshakes and more on a wonderful Friday afternoon. Since we are nearing the peak of Fall's beauty, it was a treat to be able to get off campus and relish the last of mid 70s degree weather and fall foliage, both which will soon be gone with winter just around the corner. As a college student, I have rightfully taken to my role as a dedicated consumer of pizza. Unlike my peers who can eat several slices every day for breakfast, lunch, or dinner, I have to be more careful with my choices and often reserve indulging in this all-American treat for my excursions off campus to trusted restaurants. As my dining hall stocks gluten-free- but not dairy-free- options in the pizza department, I realized early on that I needed a back-up option in my dorm for whenever I needed a quick fix. After all, studying has a mystical ability to induce an appetite when performed at length. Already a fan of Smart Flour Foods' crust since it's used as the base for Mellow Mushroom's gluten-free pizzas, I was so excited to find these amazing crusts at a local Whole Foods Market. Back home in Florida, I've seen their frozen cheese and pepperoni pizzas, but never the crusts by themselves so this find was a real treat. After a lovely meal in gluten-free wonderland, I wasn't quite ready to leave Sweet 27. Located just around the corner from their main dining room, their bakery cafe warmly welcomes visitors morning, noon, and night and beckoned me with the promise of gluten and dairy free sweets. 100% dedicated to a gluten-free environment, Sweet 27 specializes in cupcakes but also serves up sweets of all shapes and sizes. Vegans and those who are dairy free can also partake in some their treats as they are well aware of the prevalence of multi-dimensional aspects of allergen-free baking. Since I could not scale the flight of stairs leading to the bakery, the staff showed me a shortcut through the restaurant that they opened up to allow my mom and I to set foot into the bakery. Read my part 2 of this review at this link. Recently, it feels like everywhere I turn I am discovering new products and restaurants that are turning my head and expanding my culinary horizons. My mom's recent weekend visit allowed me to check out many restaurants I have been wanting to visit for a while now. While most of our itinerary was well-planned and strictly structured, my visit to One Dish Cuisine in Ellicott City was more of an accidental affair as I decided to pay them a visit on a whim after enjoying pizza at Peace A Pizza in nearby Catonsville. One Dish Cuisine is an allergen friendly deli, bakery, and restaurant that really understands the complexities of serving allergen-free consumers with a variety of needs and allergies. Artisan Cookies. I'm talking bakery case quality cookies that are just as beautiful as they are indulgent. For the most part, artisan, quality, and indulgent are three attributes not associated with gluten free cookies but that all changed when I met My Dad's Cookies at this year's Natural Products Expo East. Suddenly confronted with a table laden with picture perfect, yet totally gluten and dairy free cookies I could not really believe my eyes until I sampled my first cookie... then several more. The cookies were simply divine which earned them a spot on my list of top five picks from the show. But the accolades do not stop there. After generously allowing me to take several of their varieties with me to sample, I've decided to dedicate a whole post to their cookies to expand my thoughts on each variety. Nestled a few blocks away from Johns Hopkins University is a gluten-free safe haven that is 100% dedicated to serving fare free from gluten. While I love finding restaurants that offer safe options using cross-contamination prevention procedures, it's a real treat to eat an establishment that I know without a doubt will not make me sick. Although Sweet 27 is free from gluten, almost all of their menu offerings can be easily adapted to accommodate those with soy and dairy free diets as well as vegans. Music to my ears, I eagerly looked over their extensive menu online unable to decide what I wanted to try from all of the tasty possibilities. When my mom and I solidified plans for her recent visit, I was sure to include Sweet 27 as an entry on our itinerary. After a week full of Expo East recap reports, I was more than ready to put my restaurant reviewer cap back on and indulge in food that wasn't made by either myself or my school's culinary outlets. As it happened, my mom came up to visit me this weekend, which perfectly coordinated with my desire to leave my dorm room longer than a couple hours. Since I don't get off campus often to run basic errands such as stocking up on food and cleaning supplies, we decided to center our weekend in Columbia, MD which conveniently was home to many stores I needed to visit: Costco, Wegman's, Whole Foods, Petsmart, Target, and others. Naturally, a weekend full of shopping and catching up required selecting a couple restaurants to indulge on. After browsing through the abundance of options on Find Me Gluten Free, my first stop on our culinary tour was Peace A Pizza in Catonsville, MD which promised great gluten-free pies and funky flavors. This is part four of my four part series covering the 2014 Natural Products Expo East in Baltimore, MD. Each post will be divided into four categories: sweets, snacks, miscellaneous, and my top five. To check out the other parts in this series, click here. Naturally, after sampling and tasting my way through dozens of products at the Natural Products Expo some made a bigger impression than others. Just as the cream always rises to the top, the following five products rose above the rest and have earned a place on my top five list of the best products at Expo East. This list is not arranged with one product ranked higher than the other because all five products featured deserve equal kudos and regard. They break the mold and give those of us with dietary restrictions something to celebrate as we regain the ability to eat once-forbidden foods. 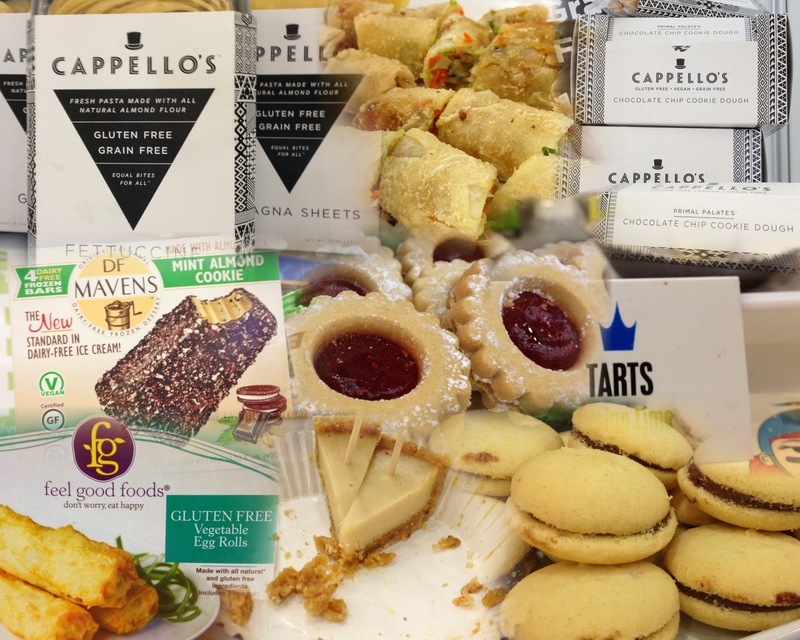 In fact, I dare say each of these products are an improvement on their traditional gluten and dairy laden counterparts which pale in comparison. This is part three of my four part series covering the 2014 Natural Products Expo East in Baltimore, MD. Each post will be divided into four categories: sweets, snacks, miscellaneous, and my top five. To check out the other parts in this series, click here. 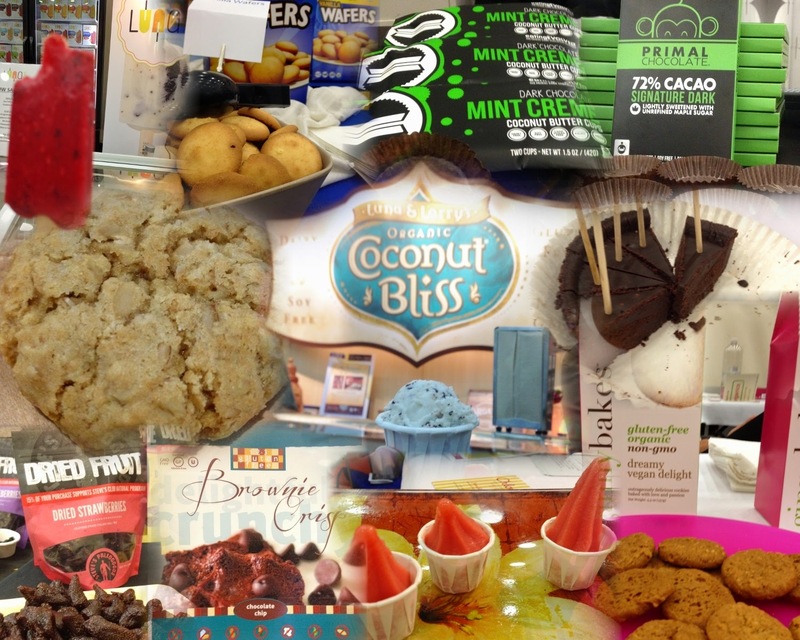 While many of the products I tried at the Natural Products Expo fit into defined categories (snack foods, sweets, etc.) some defied categories which is why I've assembled a "this and that" list of finds. From breads and beans to soups and cereal, each product made the list because they caught my eye and impressed my taste buds. Especially given the deluge of products I tried over the course of the two days I made it out to the show, this list is the tip of the iceberg of sorts showing off the best of what I sampled. This is part two of my four part series covering the 2014 Natural Products Expo East in Baltimore, MD. Each post will be divided into four categories: sweets, snacks, miscellaneous, and my top five. To check out the other parts in this series, click here. Snacks: the little meals between meals when our craving for sweet, spicy, and salty foods lead us to pretzels, chips, and other staples. At Expo East, the snack variety is dizzying and comes in every shape, taste, and form. I saw chips made out of potatoes, beans, lentils, seaweed, and kelp, and in every flavor imaginable from siracha and simply salted to caramel and BBQ. 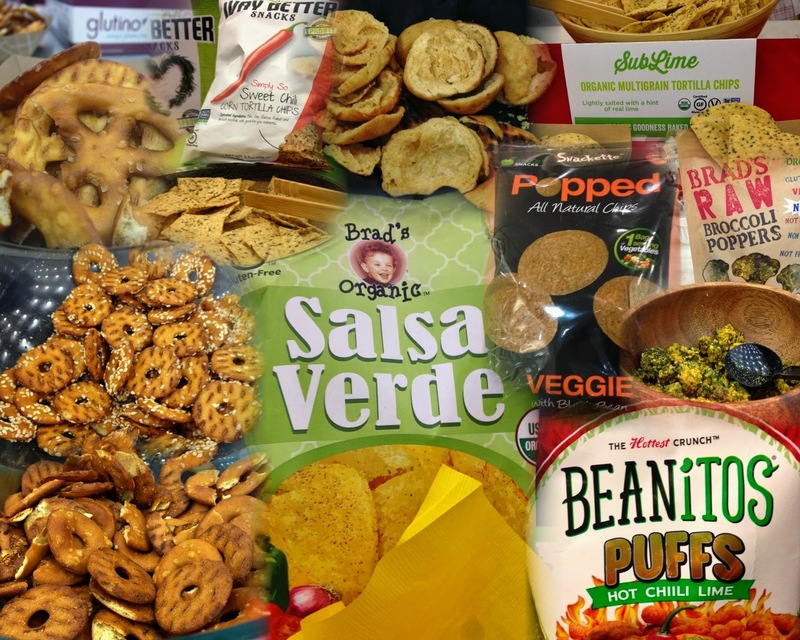 To sample each and every variety of snack food would take a lot of taste bud tolerance. I didn't make it to each and every offering, but did make a point of stopping by and sampling a decent variety. I winnowed my favorite snack items down to nine, but the no two selections are alike. 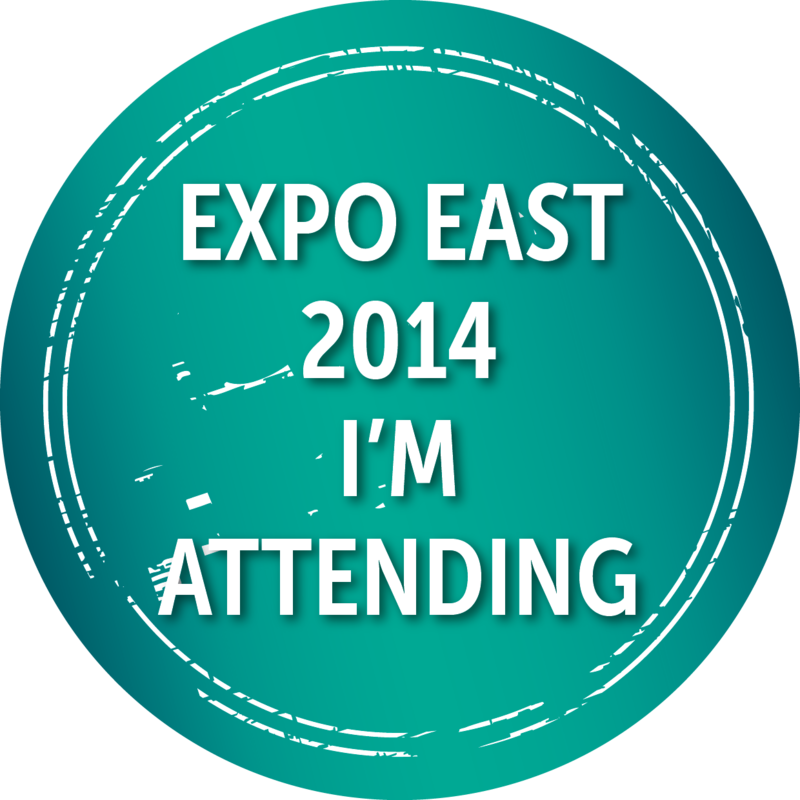 This is part one of my four part series covering the 2014 Natural Products Expo East in Baltimore, MD. Each post will be divided into four categories: sweets, snacks, miscellaneous, and my top five. To check out the other parts in this series, click here. When it comes to sweet treats, there was no shortage of options when it came to cookies, candies, baked goods, chocolate, and many more iterations of dessert on the show floor. Indulging in way to much sugar for the sake of "scientific" testing, I took in desserts of all shapes and sizes and took note of which ones rose to the top and impressed me. Through sampling, I discovered new brands, learned more about ones that I'm less familiar with, and reunited with ones that I've already fallen in love with. This assortment of sweets is broken down into three subcategories: chocolate, cookies, and fruit- nature's dessert. If you look around my favorite dining hall on campus, it's easy to spot the "danger zones" that are a gluten-avoider's nightmare. The pasta station, the pizza station, the sandwich station, and the "fried" station (fried chicken, french fries, grilled cheese, etc.). I've quickly discovered that the most popular item on people's plates any time of day is pizza. While I am finally among a population that loves pizza as much as I do, my opportunities for pizza are slim to none as I haven't really worked out an accommodation that is both gluten and dairy free in that area. Nevertheless, I've made due by stocking my micro-fridge with pizza crusts, my food supply with pizza sauce and getting pizza toppings off of the salad bar. When I have the time and energy to cook, I can have self-made pizza night using the stove in my residence hall. As great as this is, there come times when I'm simply too hungry and tired to brave navigating the dining hall or dorm cooking. Enter delivery pizza: the tried and true solution to many a hunger craving for college kids. While delivery pizza is a rare find, some quick research rendered a couple options that could deliver on-campus. I selected Cheezy's pizza after reading of their gluten-free safeguards and placed my order online via a food delivery service. Eagerly awaiting my foray into delivery dining, I waited with baited breath. Although I can hardly believe it, I'm almost a quarter of the way through my first semester in college. If I thought time was flying this summer, I've come to realize that it's flying at supersonic speed now! Juggling classes, the dining hall, and learning how to balance all of my commitments is the name of the game and I know I'll be working hard to make sure I keep my head above water and stress levels low. Part of working hard and keeping my stress levels low has limited my blogging time and availability. While I am not as active as I hoped to be, I am still committed to writing and posting quality restaurant and product reviews and share my experiences navigating the allergy-free dining scene in college which has proven to be a mixed bag of ease and frustration. This week has a big event in store that I've been looking forward to for a while that will allow me to return to full-on "blogger mode": The Natural Products Expo East. Billed as "the leading trade show on the East Coast in the natural, organic, and healthy products industry," this gathering of 25,000 attendees and 1,400 exhibitors is a meeting of the minds of sorts where the state of the industry is assessed. I cannot wait to discover and share new gluten and dairy free products and companies that spark my interest and maybe even get firsthand look at what's coming down the pipeline in the future. September means back-to-school and for kids young and old. For those who are dealing with food sensitivities and allergies, the return to classroom often means forgoing the cafeteria fare for a home-packed lunch. As a kid, one of my favorite surprise treats that my mom would periodically slip into my lunchbox was chocolate or vanilla pudding. Now that I'm older and can no longer enjoy the conventional dairy-laden form this schoolkid treat, I figured that my pudding eating days were all but over. When stocking up my dorm food supply at Whole Foods Market Harbor East in Baltimore, I came across Shiny Spoons, a local company that makes gluten-free buckwheat pudding in four tempting flavors: dark, dark chocolate, vanilla bean cashew, salted caramel mocha, and organic blueberry jasmine. Ever the traditionalist when it comes to pudding, I loaded up with the chocolate and vanilla varieties and eagerly awaited my first taste. All of Shiny Spoons' flavors are gluten-free, dairy-free, soy-free vegan and paleo which means that they can be enjoyed by diners with a wide variety of dietary needs. In addition, these impressive puddings are free from GMOs, artificial ingredients, and preservatives. A couple weeks into the semester now, I've finally got my routine down with studying, dining, and having fun. While I relish the wide-openness of weekends, I must admit that the campus empties out a bit and is a shadow of its weekday self. On one such weekend after being cooped up in my room all day, I knew I just had to fly the coop and break away for a study break and venture off campus. For this excursion, I selected Thai One On, a restaurant located in pedestrian-friendly downtown Towson. Located literally next door to previously reviewed Havana Road Cuban Cafe, I had no problem locating it using public transit. Having only recently developed my taste for Thai cuisine after visiting Orchid Thai in Winter Park, I have quickly grown to love green curry as my go-to dish at any Thai restaurant. Quickly becoming one of my favorite foods (besides) pizza, I wondered how Thai One On's version would compare to the others I've tried. After departing ShopHouse Southeast Asian Kitchen on my Labor Day D.C. adventure, I took another quick trip on the metro from Dupont Circle to the Farragut Square stop which is mere blocks away from the White House and start of the national mall. Given my limited time in the city, I had to prioritize what I wanted to see as well as consider how far away from the National Zoo I was willing to travel. The White House fit the bill perfectly as it was easily accessible, near public transit stops, and close to another restaurant I wanted to try out: Fuel Pizza. I was first introduced to Fuel's delicious pizza while in residence at summer camp at Davidson College in North Carolina. Although I was gluten and dairy eating back then, the pizza left an impression and I remember it fondly as the centerpiece of our final day at camp in which the dorm transformed into one big party until midnight. In the back of my mind, I always thought I'd like to go back, but thought my window of opportunity had all but shut when pizza's prime ingredients got put on my "no-can-do" list. Luckily enough, I rediscovered this North Carolina based chain while researching gluten-free eats near the White House and was excited to see the gluten-free and vegan options noted on their menu. All ShopHouse locations are closed as of March 17, 2017. If I didn't know any better, I would have thought that ShopHouse Asian Kitchen was custom-designed for my quirky tastes and favorite flavors. After all, this restaurant, which is the brainchild of Chipotle founder Steve Ells, merges the brilliance of Chipotle's commitment to accessible "food with integrity" with the rich culinary heritage of Asia all while serving up a menu that is 100% free from gluten and dairy. That's right. There is no gluten or dairy in ShopHouse's kitchen. The reason why I haven't talked about ShopHouse before now? The inconvenient truth is that they only have locations currently in California, Maryland and D.C. (but they are growing!). While there are no convenient locations where I am in Baltimore, I knew that sooner or later that I'd have to sneak down to D.C. for some sightseeing- both food-based and landmark-based. My window of opportunity presented itself this past weekend as my university offered a D.C. bus trip in honor of the Labor Day holidays. Once hitting the city and getting dropped off at the Smithsonian National Zoo, I made a beeline to ShopHouse's Dupont Circle location which was a short metro stop away on the red line. Getting to eat breakfast at a restaurant is a real treat for me. After all, breakfast is often the most limiting meal of the day for me in restaurants given the reliance on gluten and dairy full staples offered by most breakfast places. Coupled with the fact that I'm an early riser and eat breakfast before my family most days, breakfast earns the honor of the most underrepresented meal on my blog. In doing research in and around Baltimore in the weeks leading up to my big move, I stumbled across Miss Shirley's Cafe which has three area locations and serves up gluten free pancakes. Though my freezer is laden with Trader Joe's English muffins and french rolls for breakfast, my mom and I decided to splurge on breakfast out on our final day together before my true independence began. We opted for the Roland Park location near Johns Hopkins' campus to avoid the potential crowds at their Inner Harbor location which proved to be the perfect breakfast spot given the cute village-like location and quite suburb atmosphere. As a get-to-know you icebreaker in one of my classes this week, I had to interview one of my fellow classmates and then share their answers with the class. When asked about my favorite food it barely took a second for me to share that pizza is my cuisine of choice. After all, I indulge in my guilty pleasure at least once a week as evidenced by my seeking out of familiar and unfamiliar pizza places wherever I go. After crossing off gluten free crab cakes from my "new resident to-do list," the next order of business was to find a reliably good and safe gluten free pizza option when the dining hall and dorm cooking just won't cut it. On one of my mom's final nights in the area before heading back to Central Florida, we ventured north of the city to Cokeysville to check out Ledo's pizza which was recommended to me by one of my Twitter followers who informed me they are a hometown favorite. After a day jam-packed with orientation events and convocation, I couldn't wait to give Ledo a try after watching my peers chow down on gluten and dairy laden pies for lunch that day. Now a part-time citizen of Maryland, I figured the only way to break into the local culture is to seek out Baltimore's famous crab cakes as my first meal in my new home. In researching, trial and error proved to be the name of the game as I discovered that some restaurants I found right off the bat were disqualified due to hidden dairy in their preparations. Finally, I found a gluten and dairy free option at Phillips Seafood, a time-tested favorite located at the bustling inner harbor at the heart of the city. Though I've been by the inner harbor before, I couldn't wait to check it out with fresh eyes and relish the wonderful weather which was a welcome break from the blazing heat of an Orlando summer. After writing my review of my lunch at Columbia, I wanted to include shots of the gluten-free menu for future reference. While I know my posts can get pretty lengthy, I didn't want a mile-long post laden with pictures. Just as Sanaa's expansive and impressive menu deserved a post all to it's own, Columbia's gluten free offerings deserve a spotlight all to themselves. To see my full review, click here. When it comes to my favorite restaurants, I must admit right off the bat that Columbia ranks very highly in my book. I've been a loyal patron since I was a little girl as my parents started me early on the foodie path at their original Ybor location when we lived in nearby Sarasota. Even as we moved to Ohio then back to the sunshine state, I quickly fell in love again with this incredible restaurant that was reserved for the nicest of family celebrations: Easter, Father's/Mother's Day, Birthdays and school milestones. When gluten, dairy and I broke up almost three years ago, I assumed that I could no longer enjoy lunch or dinner out at Columbia because my favorite menu items (warm Cuban bread with butter and the 1905 salad) were no longer an option. Fortunately, some online research revealed that not only was the restaurant safe for me, but many of my favorite menu items were gluten and dairy free with little or no modification. Not missing a beat, I have since reunited with Columbia and enjoyed many safe and delicious meals there. In my final days left in Central Florida, I came to the realization that my last meal there was almost nine months ago, and that I didn't want to leave the state without having one more taste. Securing a reservation on my final Saturday in town, my family eagerly looked forward to a formal last meal eating out at a restaurant together. These past few weeks have been dedicated to tying off loose ends, goodbyes, and the seemingly endless process of packing for college. Along the way, I've tried to make the most of my time left by hitting some of my favorite restaurants as well as some I've been eyeing for a while. Cocina 214 falls into the latter category and has been on my to-do list for awhile after reading a review on my friend Alexis' blog (Gluten Free in Orlando). An opportunity arose when I scheduled a lunch date with my my mom and a friend to talk about her career path and catch up on our families' activities over the years. Cocina's gluten-free friendly menu and accessible just-off-Park Avenue location in Winter Park fit the bill nicely and was agreed upon by all. Eager to finally check it out, I had high expectations leading up to the lunch. After finishing off my popsicle from Peak Season Pops, I decided to wander around the various vendors around Lake Eola and it's surrounding park. Spotting familiar faces such as Tamale Co. it was cool to see a thoroughly blended mix of food vendors, artisans, and other local purveyors offering items of all shapes and sizes. One vendor in particular- All Dried Up- caught my eye as I strolled through with their assortment of dried delicacies. Seeing their gluten free status, I was curious to see what they were all about.